As everyone knows, this weekend is Mother’s Day. Our daughter has decided to make brunch on Sunday morning. I’ve been greeted by some staff at work through the week. Mother’s day is a few days earlier in Mexico, it appears. The mail has been littered with Mother’s day gift ideas. Sigh! I just want to take it easy, really. I happened to switch on to KQED’s Forum Friday morning. To celebrate Mother’s day, they invited three women who are mothers at various stages of rearing their children to comment on various issues of mothering. The show was inspired by Time Magazine’s cover story on Attachment Parenting. The cover photo (shown) has elicited quite a reaction from various groups, much to Time’s delight, I’m sure. It has been a long time since my daughter was born. Listening to the show made me look back and think that certainly, it was nowhere as complicated as it seems today, with so many rules, expectations, guilt- trips, self-imposed or community-imposed norms. Remember the scene where Sarah Jessica Parker’s character brings store-bought pie to her daughter’s school’s bake sale and the horrified look from other mothers? (Movie was “I Don’t Know How She Does It) My point exactly! A significant amount of time was devoted to those advocating Attachment Parenting. For those of you who might not know what this is, and please don’t laugh, scoff or roll up your eyes, as this was a serious discussion—Attachment Parenting is a movement where breastfeeding is promoted quite vehemently, and to a child’s and/or parent’s hearts’ content. It promotes breastfeeding as long as possible until either mother or child decides to stop. Other important components are co-sleeping as long as possible also, and the third, being physically attached to your child, as in “wearing your child” on you, as in carrying them in your arms, in or on a sling, a Bjorn carrier or large scarf. Quite a few mothers talked about the emotional rewards of raising their children so closely and going by the prompts from their children. All agreed that it’s impossible to spoil and infant. But some mothers even went on to say that breastfeeding their children while they were two and three years old was pleasurable and the time was special to them. There was that connection they had with their child during feeding, the touching, the gazing into each other’s eyes that these mothers could not bring themselves to give up. Still some defended Attachment Parenting as natural and logical, and they could not understand why there are supposedly many critics. had her child and how she gave up a productive and rewarding work and a social life to raise her child. Some mothers talked about the guilt of “not mothering enough,” like one mother who lived somewhere in Seattle and where the community she lived in was strongly for attachment parenting. She felt compelled to follow suit or risk being criticized or even ostracized. What about Dad? Where does he fit in here? Some admitted that attachment parenting has posed problems with dads feeling excluded and ignored. One mother realized that she needed to go out (once in a while) to have a haircut or a doctor’s appointment. She needed her husband to look after their child. 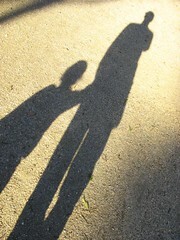 But because the child was not used to Dad and vice versa, these experiences had been quite traumatic for both parties. It also increased the guilt feelings of some mothers for “stealing away” to run an errand or even have coffee with an old friend. Contrast this to the style of some Asian families where children were cared for by amahs or yayas for the most part of their young lives. I believe in Europe there are similarities. Then the children are off to boarding school and they get to come home during holidays. My mother breastfed me for about 8 months, she said. She worked part-time until I was a year old, then full-time after that. I was raised by various nannies. When we had our daughter, I was a third year pediatric resident. I was only able to take 4 months off for my maternity leave. I could have taken longer but my program director told me I would not finish with the people in my batch if I did. And so, I went back to work, pumped in between rounds and clinics. I breastfed in the morning and at night. This only lasted another three months. I have to admit that running to an emergency or taking a case that lasted longer than the usual consultation all contributed to my milk drying up. I don’t know about the co-sleeping. We trained our daughter to fall asleep by herself when she was six months old, instead of putting her down when she was already asleep. She figured it out within three nights. And she slept through until the next morning. In her crib. We hugged and kissed and cuddled a lot but I certainly did not “wear” her. In the first place, she was a long baby, and later a tall toddler. I have always believed in aiming to raise her to be self-reliant. We expressed our love to her in countless ways, consistently, persistently, lavishly. But we also respected her space and we wanted our space respected too. My husband later on admitted to me that once she was on the bottle, he enjoyed feeding her at night. It was his time with her. I was very sensitive to the fact that he wanted very badly to participate actively in raising our daughter from the day she was born. I believe that attachment parenting is fine as long as people involved in the raising of the child or children, including the children themselves, are all in agreement and there are no hidden resentments, feelings of exclusion or guilt, or children are not used as crutches, excuses not to have to socialize or deal with other pressing matters, or fill an empty life. This is because one day, these children will grow up and want to be independent and separate from the parent. Separation is important in the maturation process and if a parent clings whether it’s a conscious manipulation or not, this can be very difficult for the child. Think of the son who has to eat his mother’s cooking in her house everyday even when he’s married…… Or when the husband/father feels excluded. That can be quite problematic. I have also seen children who are so entrenched with their mothers that they go ballistic once their mother is out of their sight for whatever reason. They become inconsolable until the mother returns. This can be problematic too. I remember some mothers confessing to me that they have to hide to leave the house and they can’t bear hearing their child’s desperate cry for them. Looking back, I can safely say that we raised our child somewhere in the middle between the attachment parenting extreme and the nanny-raised other extreme. I guess one can say, our parenting falls in the middle of a bell-shaped curve. And she turned out just fine. And so, on Mother’s Day, I’d like to say to all young moms, please don’t over think it. And don’t fall prey to these cliques of know-it-all mothers who make you feel inadequate and guilty. You get to decide on how you want to raise your child in so long as it is not immoral, illegal or unhealthy. Our children will all turn out fine, in spite of us. Happy Mother’s Day, by the way! This entry was posted in Attachment Parenting, Breastfeeding, Co-sleeping, Mother's Day, Parenting and tagged Attachment parenting, Breastfeeding, Family, KQED, Mother's Day, Parenting, postaday2011, postaweek2011, Postaweek2012, Time. Bookmark the permalink. Yeah! Funny though it made you spew out your coffee. I think that’s what Time was banking on. Until today I always assumed Mother’s Day was the same everywhere. How wrong can you be? In the UK it is the fourth Sunday in Lent and in the USA the second Sunday in May and there are a whole bunch of alternative dates around the World! Happy Mother’s Day my friend. Today is about celebrating you and all the moms out there who gave so much love and happiness to all of us. Thanks for sharing a warm and inspiring story. Here’s a mother day surprise from Walking Papers. Such extremes in different cultures! I breastfed both my children until they were about ten months old and it was wonderful. There was a natural stop chosen by them as they were beginning to walk. To each his own, but I wonder if women who continue with toddlers are doing it for the child or for themselves?